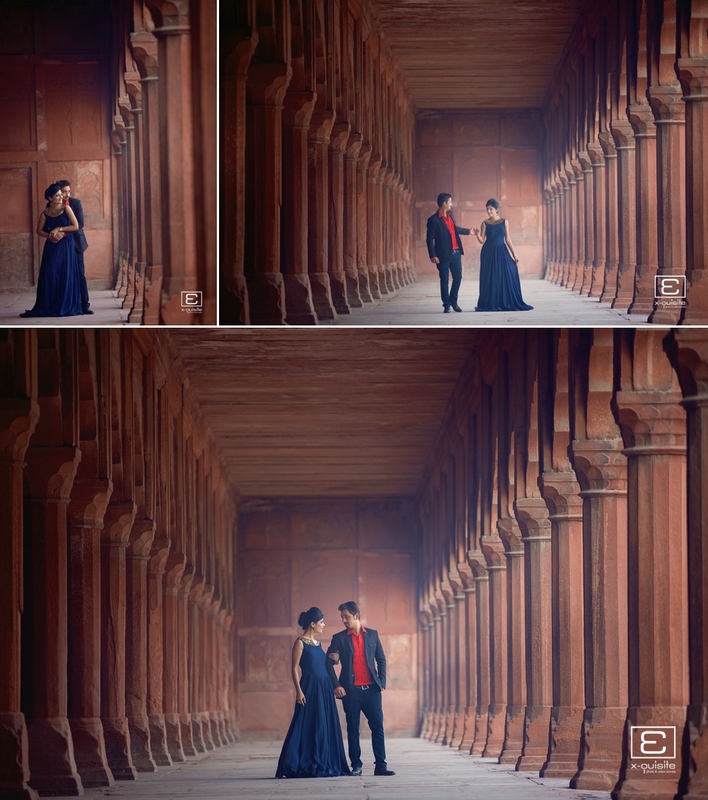 After an epic month of travels through India & Bangladesh I am delighted to share with you the Taj Mahal Pre Wedding Shoot with Aditi & Shreyans. Although I have covered many weddings in India until now have not had the opportunity to shoot at the Taj Mahal for one reason or another it has not worked out, so when Aditi & Shreyans who are both from Indor agreed to fly out to Agra for the shoot it was an opportunity not be missed. All I can say is that shooting at any Location in India is an experience, specially the Taj Mahal. Prior to arriving at the the Taj Mahal we contacted the archaeological centre of India who informed us that no permission was required to shoot at the Taj Mahal provided we did not shoot video. They conveniently forgot to mention you cannot use any tripods, stands or external lights. Off course we had the full kit with ProfotoB1,soft boxes, stands all ready to go but ended up using just the off camera canon flash. The shoot was split over two days, the first day the aim was to capture the Taj Mahal at sunset so we set out to shoot at locations surrounding the Taj Mahal. After some research (mainly watching Bollywood films) we decided to shoot at Mehtab Bagh which is a park on the opposite side of the Taj Mahal across the lake which has a clear view of the Taj Mahal. The second day we decided to get up at 5am for a sunrise shoot, this time within the boundaries of the Taj Mahal. The early morning mist and the sun reflecting on the sparkly white marble of the Taj created a beautiful backdrop. Finally I wanted to shoot from a slightly unusual perspective which was from the rooftops of a village on the other side of the Taj Mahal. Thank you Aditi & Shreyans for taking the timeout form a hectic time in your lives to make this shoot happen. Special thanks to my wife for the hair, makeup and styling. Also a big thank you to our assistant in India Chandan Singh for his local knowledge and finding the location for the rooftop shoot. Please feel free to share the post and leave comments. The set can be magical, but without the right persons and the right click…. at the right moment…. the result wouldn’t have been what it is now. The result shows the TEAM was fabulous! The result shows professionalism, diligence, pleasure and love. Not only from the side of the photographer, but also from the models and the person dressing them up. Many Thanks Gurwinder!! hope you are well and Happy New Year. Just came across this via FB. Brilliant work there guys. The reflection shots especially. Happy new year to you all. Hi. I stumbled upon ur work while looking for ideas of a shoot at Taj Mahal. Beautiful shots!! Just love the entire ambience created. My hubby and I were thinking of doing a photoshoot tho’ its been 23 yes since our wedding. We did not do one when we got married. We have planned a holiday to Delhi and Taj Mahal in early Dec. How many days will u need for a shoot? What wld it cost? Besides photography, who can I contact for outfit & make over? Thank you for getting in touch and your kind words about the images, glad you like them. Also congratulations on 23 years of marriage. My wife and I have celebrated 8 years so far so a long way behind you. 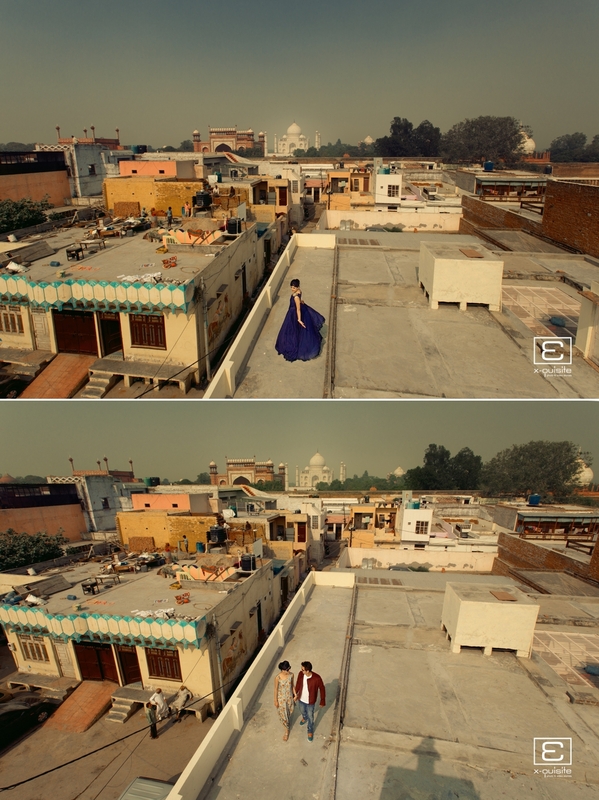 In regards to the shoot, firstly we are based in London and shot this for one of our clients who lives in India. Where are you from? are you in the UK or India? 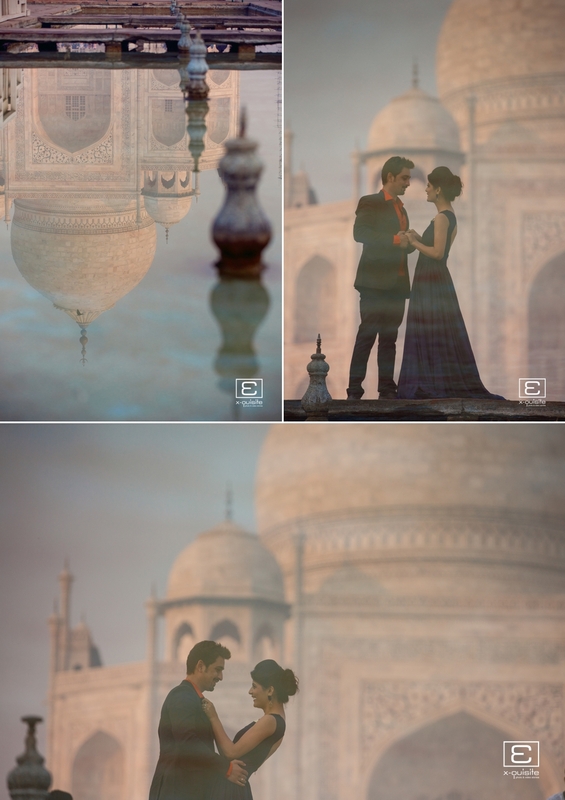 We Shot at The Taj Mahal for 2 days one afternoon session and one very early morning session. The cost of Photography was £2,000, in addition the makeup and hair was done by my wife(Additional cost £500)who is a makeup artist. Flights Accommodation, Visa,Transfers, Subsistence costs and Transport while in India etc was additional charge. If you would like to discuss a shoot in India or any other part of the world please call me on +447984654963 or email me your number and I can call you.